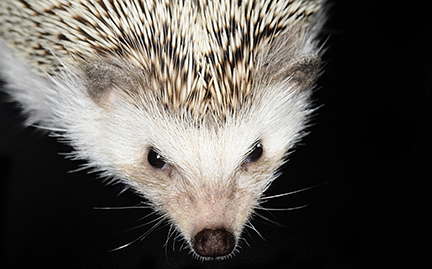 Hedgehogs are so named because they grunt softly as they dig in undergrowth, searching for their preferred diet of invertebrates. They have poor eyesight and depend on their senses of smell and hearing as they hunt. Solitary and nocturnal, hedgehogs nest in hollow trees and rock crevices.